Wow! The last three days have been crazy, hectic, awesome and inspiring. We just finished putting on The Future of Research Communication and e-Scholarhip (FORCE11)’s Beyond the PDF 2 conference here in Amsterdam. 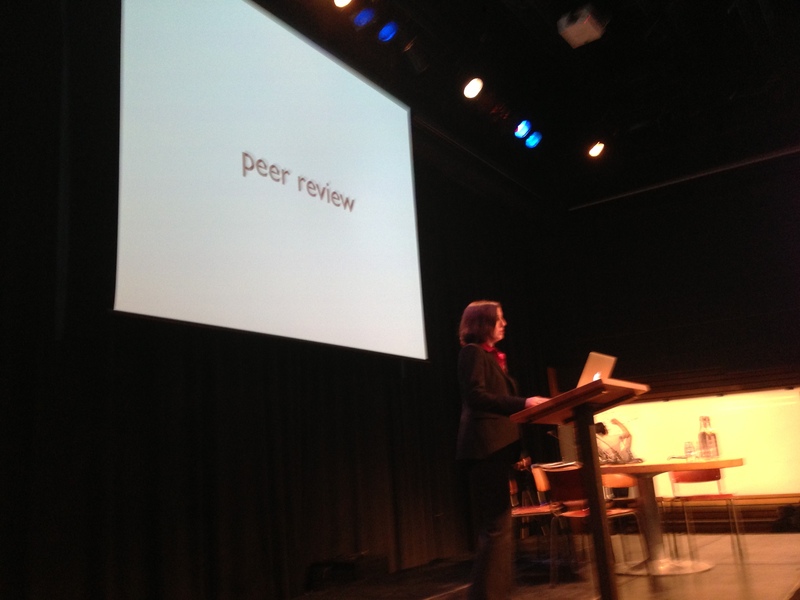 (I was chair of the organizing committee and in charge of local arrangements) The idea behind Beyond the PDF was to bring together a diverse set of people (scholars, technologists, policy experts, librarians, start-ups, publishers, …) all interested in making scholarly and research communication better. In that case, I think we achieved are goal. We had 210 attendees from across the spectrum. 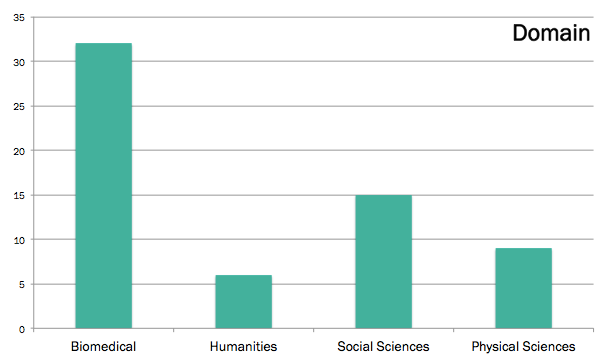 Below are two charts: one of the types organizations of the attendees and domain they are from. The program of the conference was varied. We covered new tools, business models, the context of the approach, research evaluation, visions for the futures and how to moved forward. Here, I won’t go over the entire conference here. We’ll have a complete video online soon (thanks Elsevier). I just wanted to call out some personal highlights. We had two great keynotes from Kathleen Fitzpatrick of the Modern Language Association and the other from Carol Tenopir (Chancellor’s Professor at the School of Information Sciences at the University of Tennessee, Knoxville). Kathleen discussed how it is essential for humanities to embrace new forms of scholarly communication as it allows for faster dissemination of their work. Carol discussed the practice of reading for academics. She’s done in-depth tracking of how scientists read. Some interesting tidbits: successful scientists read more and so far social media use has not decreased the amount of reading that scientists do. 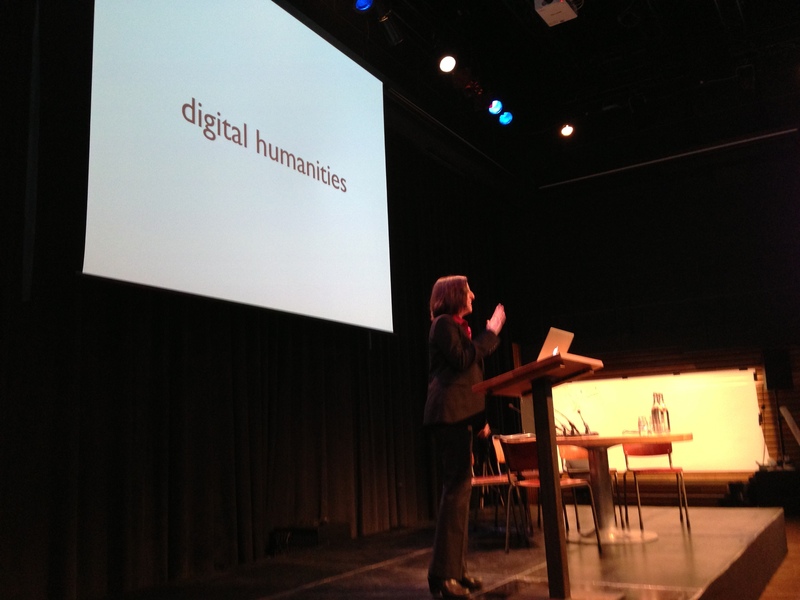 The keynotes were really a sign of how much more humanities were present at this conference than Beyond the PDF 1. Furthermore, there are different ways of publishing from PeerJ to Hypothes.is and even just posting to blog. 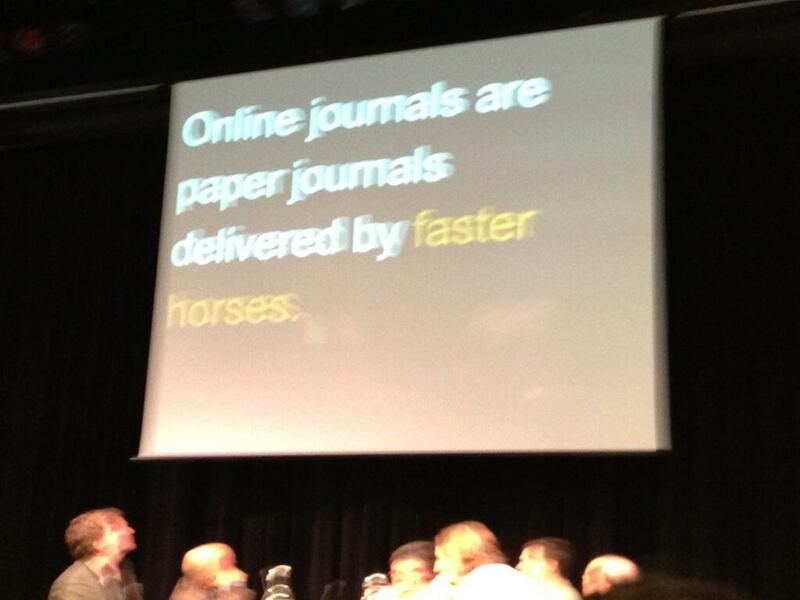 Probably the interesting idea of the conference was the use of github to essential publish. For me this made me think it’s time to think about my own scientific workflow and figure out how to update it to better use these tools in practice. At the end of the conference, I asked if people had made a new connection. Almost every hand went up. It was great to see publishers, technologists, librarians also talking together. The twitter back channel at the conference was great. 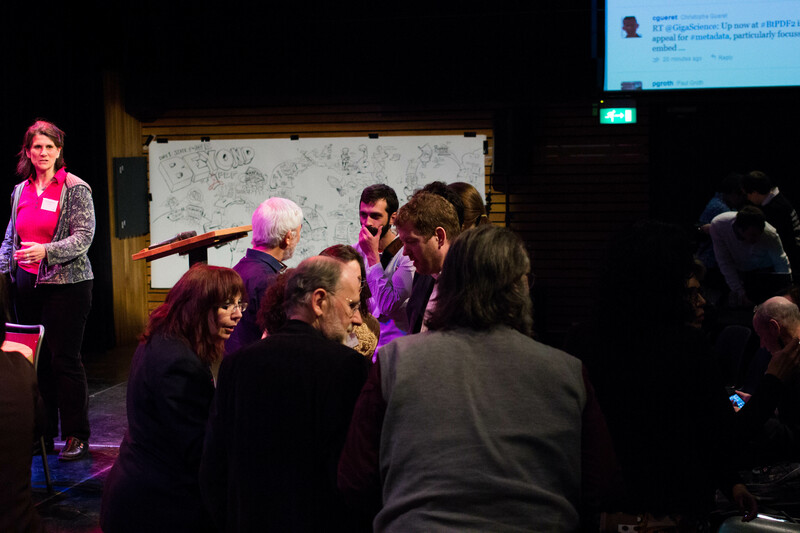 We saw a lot of conversations that kept going on #btpdf2 and also people commenting while watching the live stream. Check out a great Storify of the social media stream of the conference done by Graham Steel. 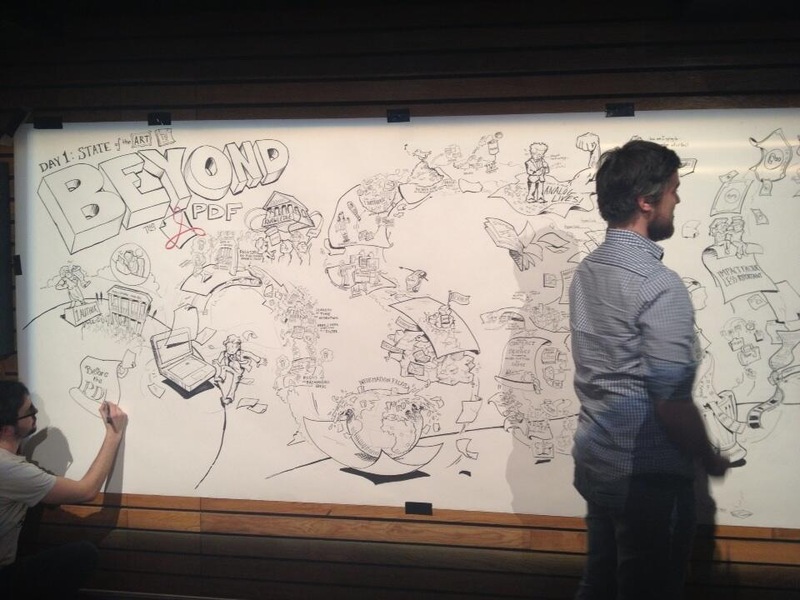 Beyond the PDF 2 photographs van Maurice Vanderfeesten is in licentie gegeven volgens een Creative Commons Naamsvermelding-GelijkDelen 3.0 Unported licentie. Gebaseerd op een werk op http://sdrv.ms/YI4Z4k. We gave a challenge to the community, “what would you do with 1k today that would change scholarly communication for the better? ” The challenge was well received and we had a bunch of different ideas from sponsoring viewing parties to encouraging the adoption of DOIs in the developing world and by small publishers. We had a great discussion around the role of evaluation. I think the format that was used by Carole Goble for the evaluation session where we had role playing representing key players in the evaluation of research and researchers really highlighted the fact that we have a first mover problem. None of the roles feel that “they should go first”. It was unclear how to push past that challenge. Personally, I had a great time. FORCE 11 is a unique community and I think brings together people that need to talk to change the way we communicate scholarship. This was my quick thoughts on the event. There’s a lot more to come. We will have the video of the event up soon. Also, we will have drawn notes posted provided by Jongens van de Tekeningen. Also, we will award a series of 1k grants to support ongoing work. Finally, I hope to see many more blog posts documenting the different views of attendees. We had many great sponsors that helped make a great event. Things like live streaming, student scholarships, a professional set-up, demos & dinner ensure that an event like this works.